The Rockville Nursery School and Kindergarten admits students of any race, color, creed, religion, gender, (we attempt to maintain a gender balance in each classroom), ethnic back­ground or national origin to all the rights, privileges, programs, and activi­ties gen­erally accorded or made avail­able to students of the school. 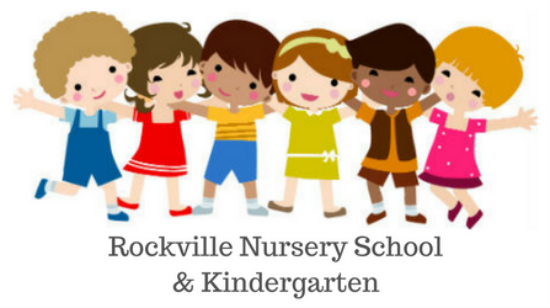 In order to attend classes at Rockville Nursery School and Kindergarten, children entering their classes must attain the appropriate age by September 1st of the enrolling school year. No child will be placed ahead of his or her chronological age. Consideration will be given to enrolling children with special needs in physical, emo­tional and intellectual areas under the following conditions: *the child must be ambulatory; *the child does not re­quire specialized one-to-one care; *a reference is required from a qualified professional that would support main-st­reaming; *each admission is on a trial basis of one month; *a copy of the lat­est diagnostic assessment is made available to the Director and teachers; *ongoing treatment will be provided for the child by an out­side source when necessary; *an inter­view with the Edu­cational Director is required. A completed registration form and a non-re­fundable registration fee must be sub­mit­ted to the Rockville Nursery School and Kindergarten before any consideration for admission or placement. In some cases, an interview with the director, and/or staff member may be required for admittance. Enrollment priority will be given to currently enrolled students and their siblings and siblings of alumni students. Appointments to visit the school begin in November. Enrollment is open to the public in January and appli­cations are taken on a first-come, first-serve basis. Children enrolling in the extended day program on a five-day basis will have first consideration for child care place­ment. We have found it necessary to establish this policy in the interest of running a more efficient child care pro­gram. In the event that Rockville Nursery School and Kindergarten has deter­mined that it is unable to meet the needs of your child, tuition responsibili­ties will be pro-rated based upon the child’s class­room attendance.